Discover the fun of fondue and experience how flavors come alive! Capacity, 2.5 cups. Bowl made of ceramic. 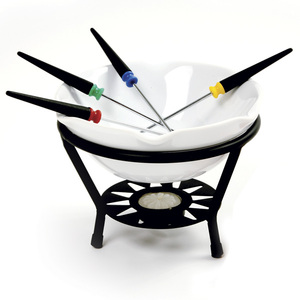 Set includes a ceramic bowl, four color coded forks, stand and candle. Hand washing recommended. 7 Pc Set.